It’s springtime!! (hopefully where you are, our weather here has no idea what month it is) And that means it’s time to turn some attention to our outdoor spaces! I did a quick lil freshening up the front porch post for ya here, (although it already looks different with the addition of some plants! And here’s what the back patio looked like last summer. I will have a full updated tour soon!) but today I want to give you a list of my fave outdoor decor picks for the season! 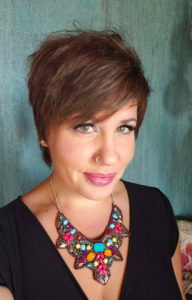 The idea of freshening up my patio came from a friend of mine who looked into a site like Atlanta custom concrete, as she was considering renovating her patio for the summer. Once I saw the before and after results of her garden, I thought it was time to step it up when it came to my garden. But when it came to myself, I thought I would switch it up with decor instead of a full renovation. As per usual my absolute favorite place to shop is World Market for outdoor decor. 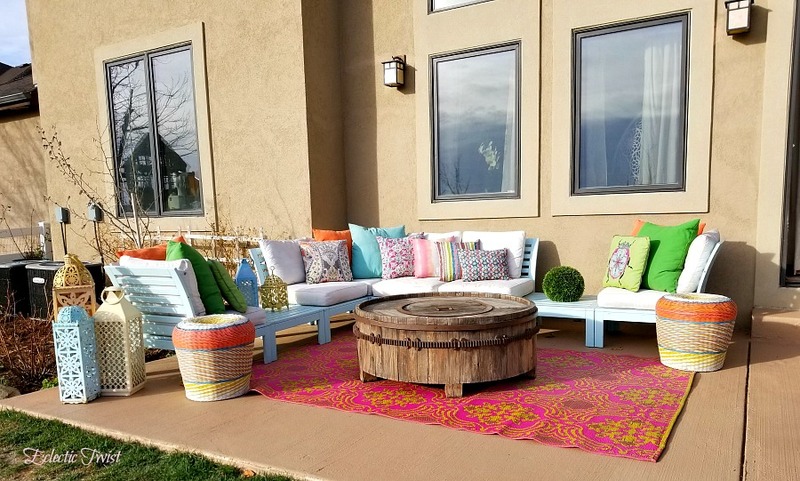 They are the only place where the pillow colors can withstand our harsh Colorado sun without looking like they are ready for the trash can the next season. (not that I don’t have mad love for Home Goods, Target, etc) Plus they always have a fun selection loaded with color (and we all know that’s the way to my heart!) and new patterns. Here are a few things I am totally crushing on…. Seating is a must and I am feelin this chair! 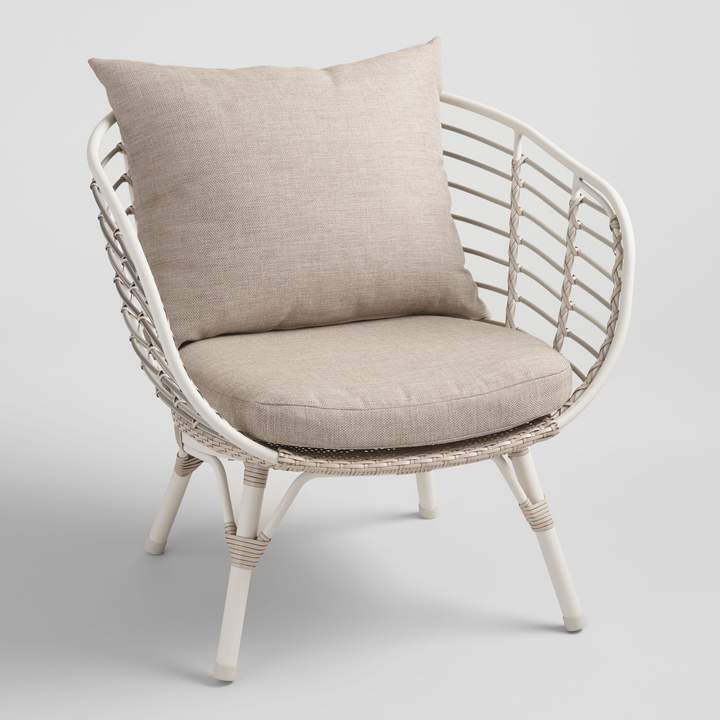 It’s the all weather wicker negril outdoor chair and I would even venture to say I would use it inside the house. How about stools that double as side tables? Versatility and double duty pieces like this keep the patio uncluttered while providing you with much needed extra seating during those backyard bbqs! 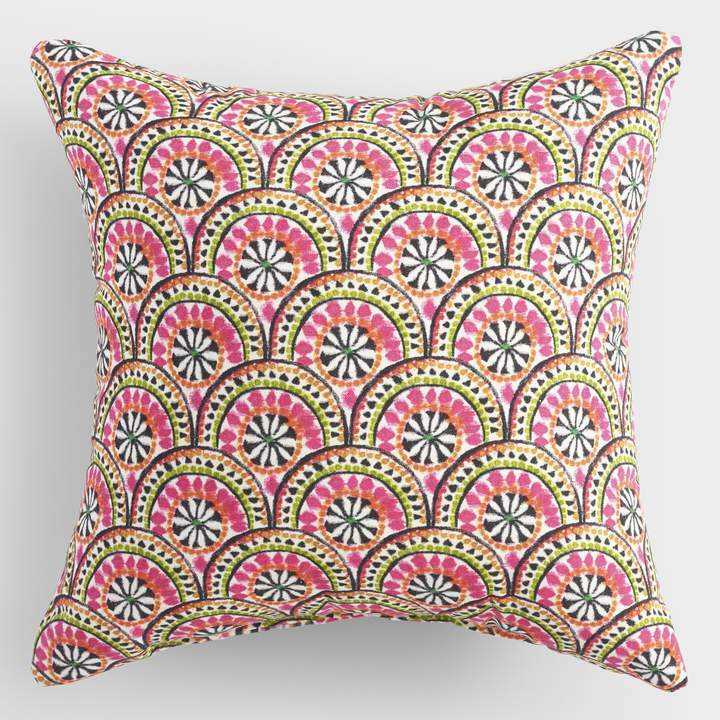 And they are easy on the eyes like this bright pink one (you know I HAD to have something pink in here!) 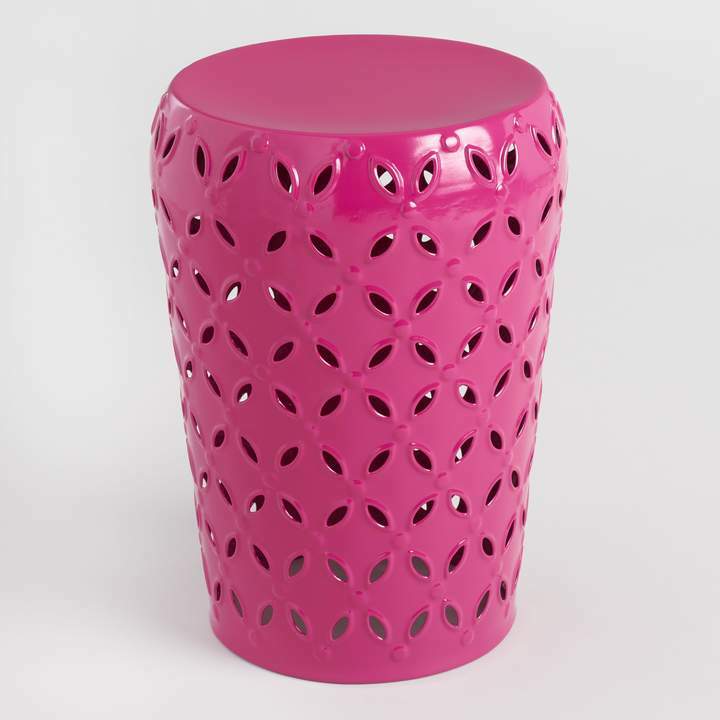 It’s got a simple pattern with a bold color which makes it a perfect combo and it’s the pink punched metal lili drum stool. Or if you want to keep the neutral color but still have something beautiful. 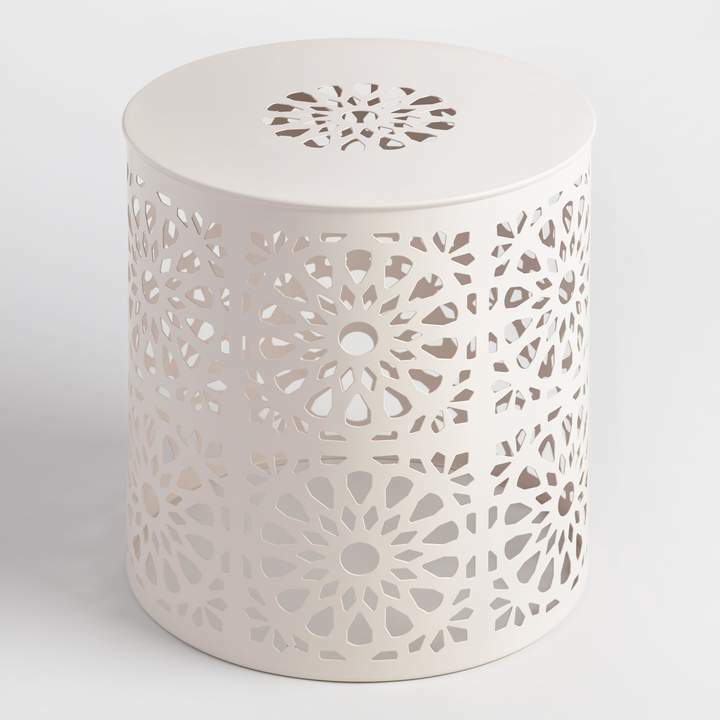 Here’s the white metal punched soleil drum stool. I love the detailed pattern and with the white color it goes with everything! How about something to provide some shade from that summer sun? When I saw this umbrella I wanted to buy 10! 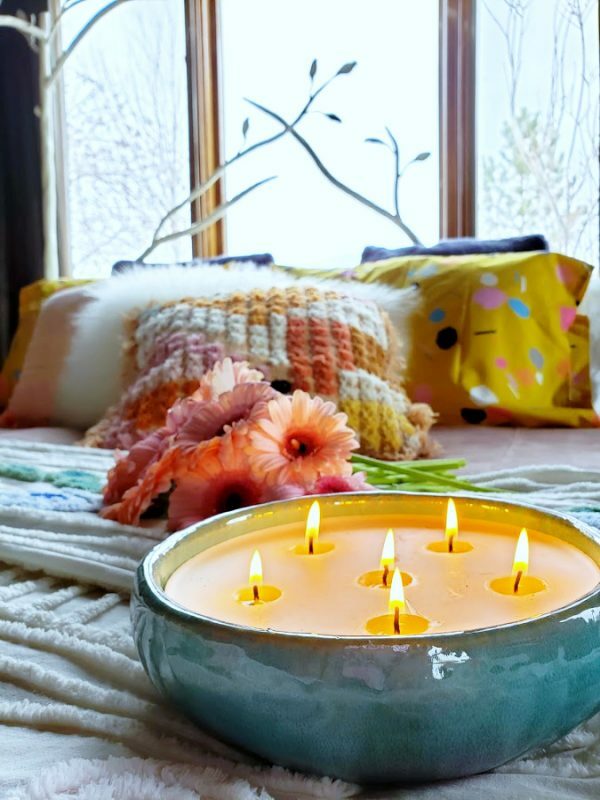 It’s so bohemian chic meets chill and relaxed. 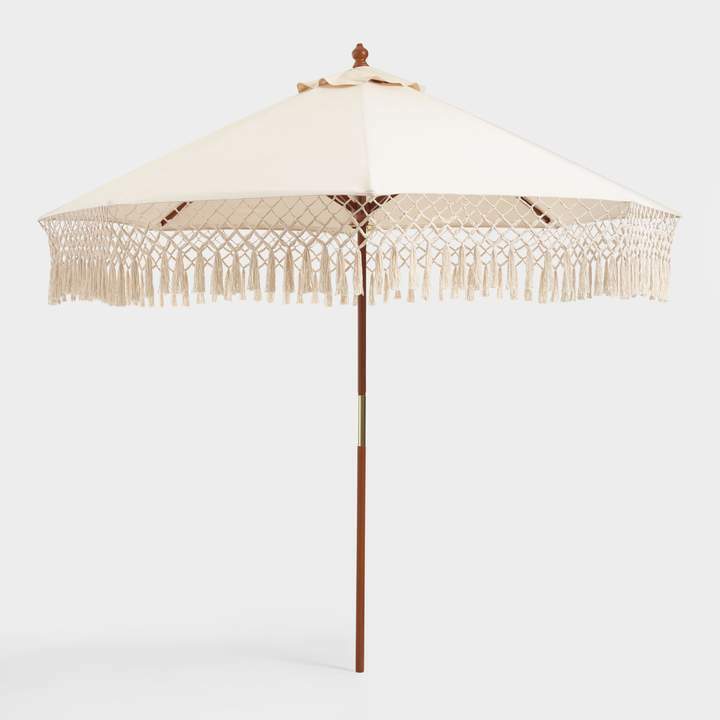 It’s the natural 9ft outdoor umbrella canopy with fringe. It fits the world market umbrella pole so you can switch them out when you want a different feel! And you know there is no way I can’t talk about at least a few pillows! I mean it’s me we’re talking about here. ; ) How about I start off with a pretty in pink option?! This one is neutral with just a bit of color and is so soft! It’s an indoor outdoor pillow so you can use it all year round which is extra awesome! 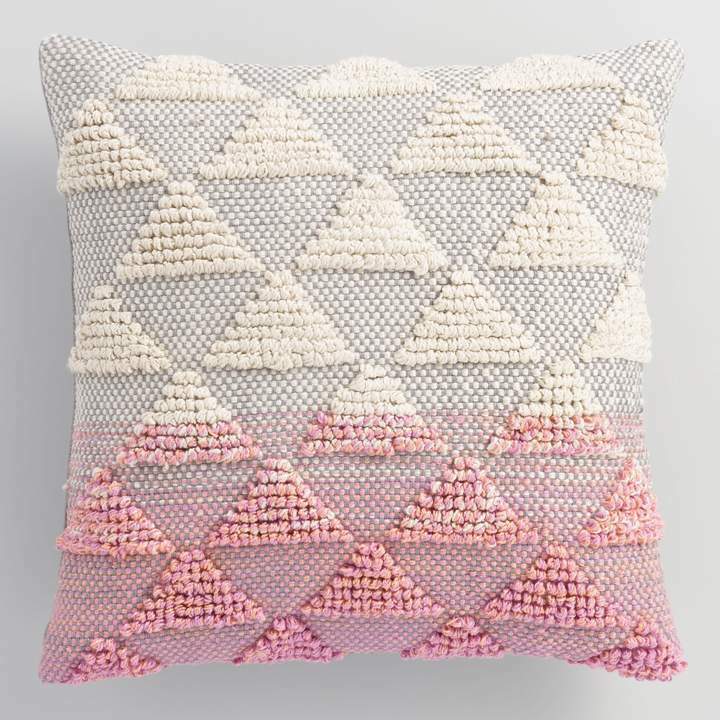 It’s the pink woven triangle indoor/outdoor pillow. 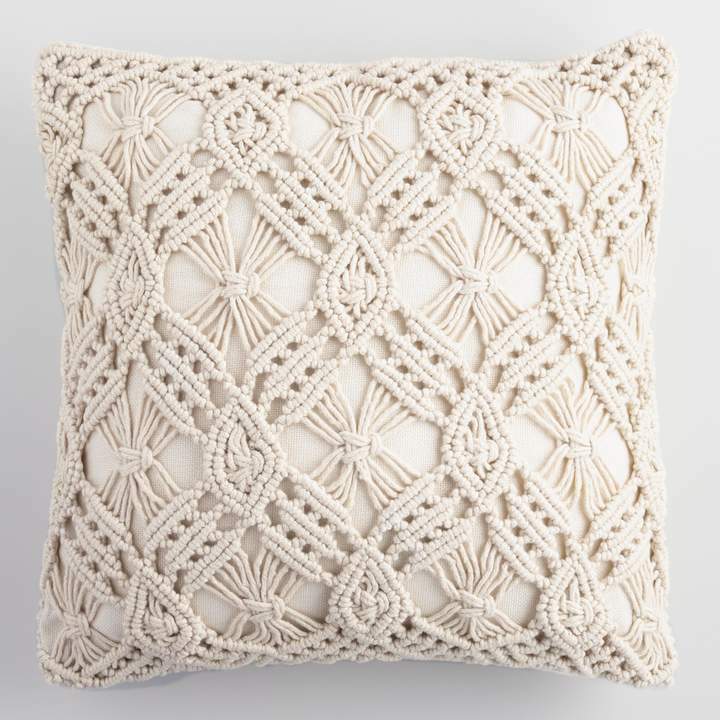 Or this fabulous natural macrame indoor outdoor pillow! It also comes in black, terracotta and a soft green! I have 2 in black and they make a gorgeous statement. And I have to add a fun patterned colorful pillow to the mix. This is the pink jungle scalloped outdoor pillow and has a fab mix of colors and pattern! It would go nicely with the 2 above as well. And there simply has to be a rug option because no patio is complete without something soft under the feet! This rug has been on my list of faves for a couple of years now. 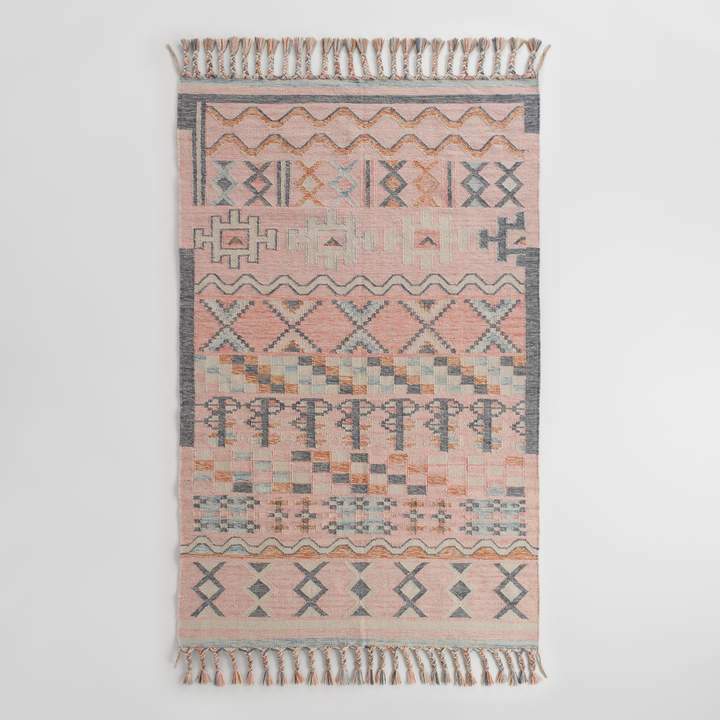 It’s got lovely soft colors with fringe, it’s the boho kilim nagar indoor/outdoor rug and it’s another indoor optional item hoozah for multiple options! And for a bold option this pink and orange delight! I mean doesn’t this just scream summer?! 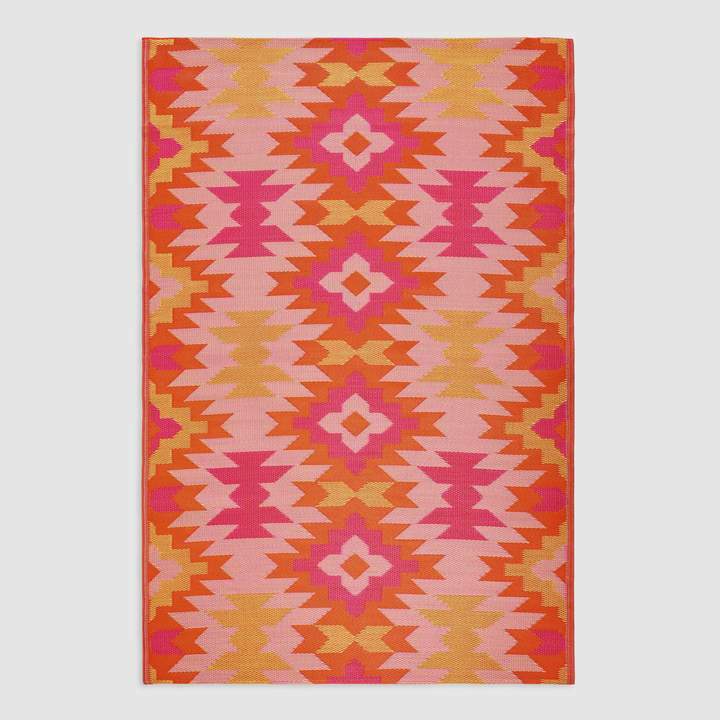 It’s the orange kilim reversible indoor/outdoor rio mat. I am a huge fan of these mats! I used them over my entire outdoor space last summer. They are insanely easy to keep clean, literally hose them off and you are good to go. They are super comfy and squishy to walk on AND they keep their color, no fading! And at a 6×9 it’s a great size for a steal of $40! 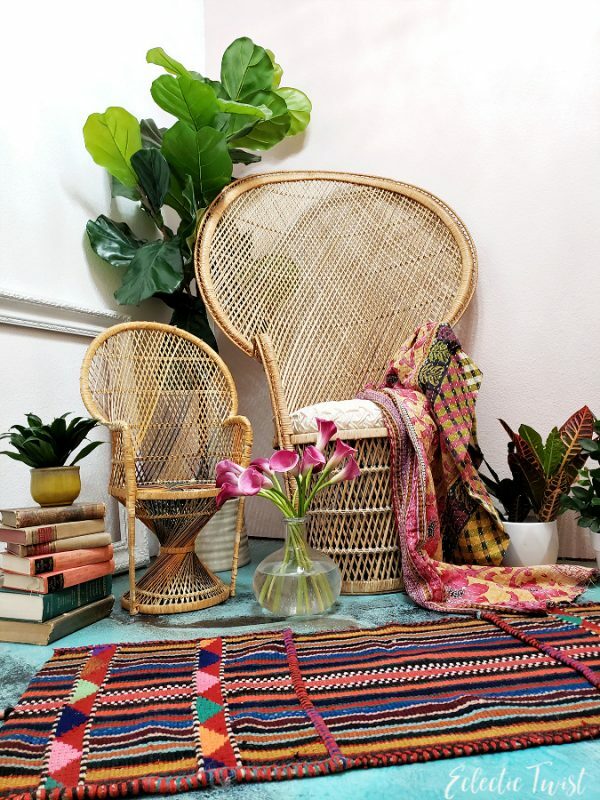 Those are my top picks so far this year at trusty World Market! Some of these I have and some I am lusting over! 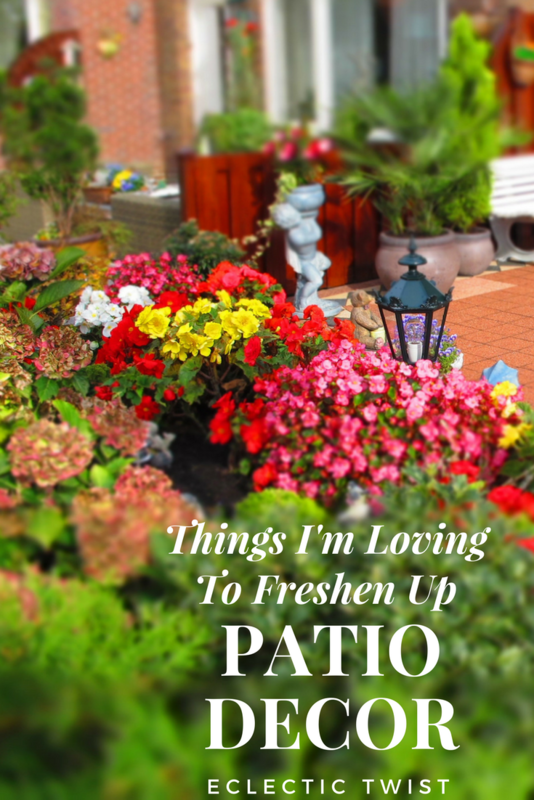 Any one or a combination of the items above will freshen up your patio area and give you a pop of summer. What’s your fave item I shared above? Have you already picked up some new patio decor items? I always love to hear from ya! And a lil tidbit reminder of the subscribe box in the sidebar if you don’t want to miss anything from yours truly! I never know what I’m going to share so it keeps it interesting! Great choices! Your outdoor space is just as wonderful asyour indoor! These are such easy to do, but soooo impactful!!! Great ideas to spruce up the patio, my friend 🙂 I am loving those textural pillows they are just so yummy. Thank you so much Jen! There is so much fun stuff out there!